Modern gold, thanks to ligature additives, is durable and aesthetically pleasing. Depending on the percentage of copper, silver or palladium in the alloy, the metal may be of any shade. 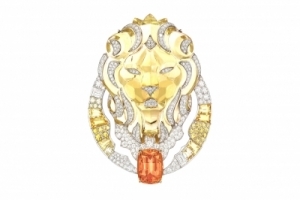 Colored gold is a huge field for fantasy jewelers. It emphasizes in a special way the depth and sets off the play of natural gems. Products with sensually sparkling inserts add charm to the outfits, emphasize the sophistication of the images, become beautiful gifts, talismans of endless joy and youth. 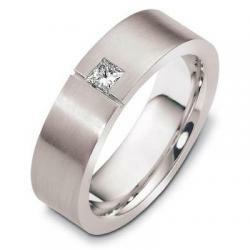 The most popular today are products from modern silver-white gold, which help a woman to play many roles. Performed in the style of fantasy, avant-garde or new classics, they interlace the filigree traditions and modern trends. White gold is a wonderful background for artistic processing, engraving, applying hot enamel and inlaying various stones. Products crowned with purest cubic zirconias, like ice crystals, or real diamonds playing with rainbow colors, create an aura of unearthly attractiveness, serve as marvelous accessories on a weekday, look nobly at evenings and holidays. 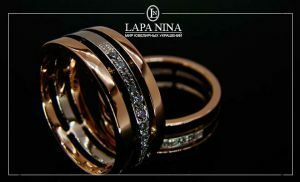 Ladies who want to emphasize their sexuality are young at heart and respond to all that is adorable, they are impressed by jewelry made of red-pink gold. Made in a lace design, filled with the purple shine of pomegranates, they give sparks of sophistication and uniqueness. They help to create an image of prosperity and success of products made from lemon yellow gold. Light designer kits consisting of a ring, earrings and pendant, finely sprinkled with topazes, sapphires, amethysts or chrysolites, shine amazingly. Jewelry creations that create mood, become faithful companions to any event. There is nothing unusual that young women are now lured by jewels from more interesting shades of gold: green, purple, blue, brown, black. 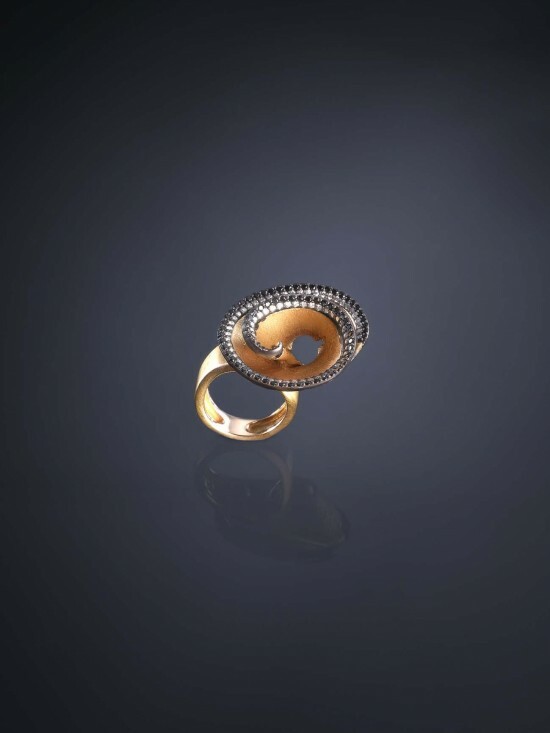 Such models are a modern trend, that is why they occupy a strong position in jewelry fashion and are present in the collections of famous jewelry brands. So the products made in black gold fit perfectly into every woman’s wardrobe. Emeralds, pearls, cut diamonds and rubies in black surroundings look solemn. Photos of various unique products can be viewed on the website of the Fair of Designer Jewelry. Wedding rings made of black gold – spectacular symbols of love, serve as a bright addition to an unforgettable wedding ceremony. To buy jewelry made from gold of the shade you like: exclusively black, traditionally red or trendy snow-white is not a problem today. In the online store, in the online catalog you will find an assortment that satisfies absolutely any taste, gold jewelry, which will reveal your beauty in a new way, tell you about the high status and individual preference!